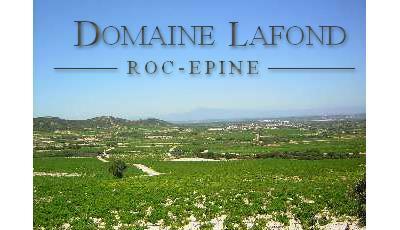 Pascal Lafond's beautifully made wines from Tavel, Lirac and Chateauneuf-du-Pape are among the finest values the region has to offer. This 65-hectare family-run estate, located in the rosé-only appellation of Tavel, produces what is widely considered (by Robert Parker, among others) to be the best Tavel available. Their Lirac Blanc – a blend of Grenache, Roussanne and Viognier – is a rich, vibrant Rhone white, with lovely honeyed and floral aromas. Their reds – including a Cotes-du-Rhone, a Chateauneuf-du-Pape, and two different Liracs – are impressively concentrated, meaty and pure Grenache-based wines that are nonetheless balanced and well-structured. Today's cellar was built in 1970, with several extensions made over the years to accommodate the domaine's fairly robust production. These wines are simply stunning values!